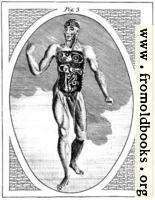 A New and Complete Illustration of the Occult Sciences by Ebenezer Sibly [1751-1800], M.D. F.R.H.S., Embellished with Curious Copper-Plates, London, 1806. 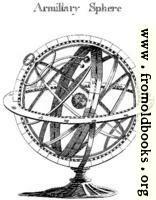 Part of this text is online courtesy of Joseph H. Peterson, and a search for Ebenezer Sibly, A New and Complete Illustration of the Occult Sciences, Book 4 should find it; since he doesn’t allow any further reproduction, I have not linked to it directly. 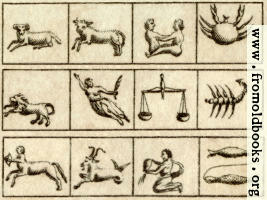 The Twelve Signs of the Zodiac (second version).